A really cute woodland squirrel badge. 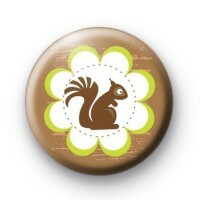 This squirrel badge is brown with a white centre and a cute squirrel illustration. This is a really cute animal badge hand made in our UK workshop. We have loads of animal badges available so have a search or browse through the categories. 25mm badge hand made in the UK using locally sourced badge parts and manual badge machines.